Vintage Nightgown - Nothing says femininity and elegance like beautiful lingerie, and a vintage style is all you need to take the romantic feeling to the next level. Stunning nighties from the 40s, 50s, 60s, and 70s were designed to make the most of a woman’s body with intricate styles and details. Channel your inner ingénue in a sweet and sassy baby doll in sheer chiffon. Turn to Brigitte Bardot for inspiration with bombshell hair, glossy lips, and a darling vintage nightie that will make you feel like a 1960s movie star. Vintage babydoll lingerie is typically found in beautiful floral prints and candy colored pastels like soft mint green, blush pink tones, and sweet lavender shades. Look for ultra feminine styles that are decked out with ruffled hemlines, ribbon trimmed necklines, and pretty bow details. Romantic vintage baby doll lingerie is usually affordable and can often be found at your favorite vintage shops. 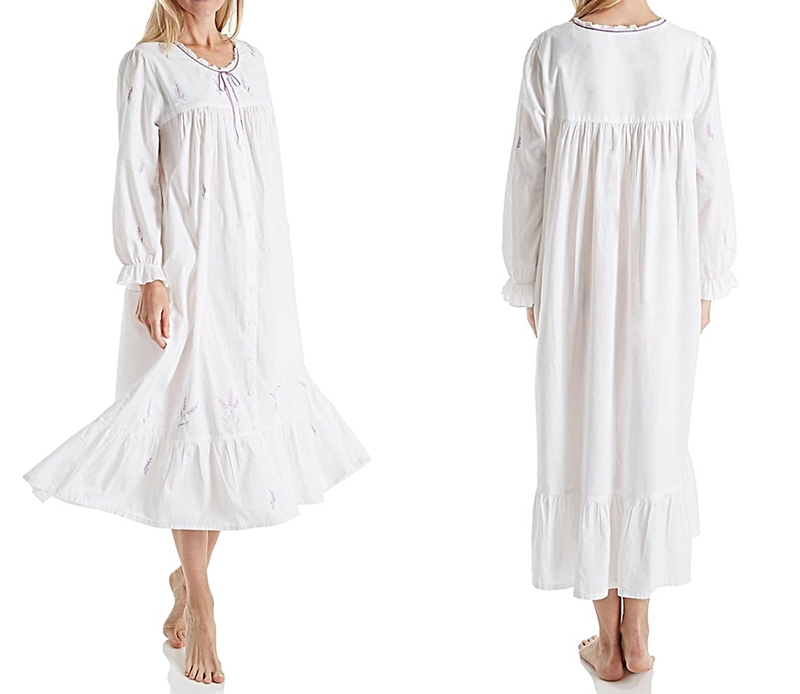 Any woman would love to have a Victorian nightgown in her pajama drawer, with its sweeping hem, soft white coloring, and the romantic lace details. One way to get even more of the sentiment of the Victorian era is by scoring a vintage style that’s authentic of the time period. Since Victorian nightgowns often come with a hefty price tag, vintage versions can be a great way to get the look you love without breaking the bank. Pure white styles are often slightly discolored, so it’s easier to find dreamy off-white shades that add to the antique charm. Look for lace details, high collar, billowing sleeves and exquisite details of the era. Estate sales, garage sales, flea markets and Craigslist are all great options for finding true vintage and hard-to-find intimate apparel. Also, stores that specialize in vintage clothing collections are often a treasure trove for beautifully made vintage lingerie. Va-va-voom. Step into the role of an Old Hollywood bombshell when you seek out floor-sweeping silk or satin nightgowns that transport you back to a time where women’s curves were celebrated. Vintage satin gowns are cut to accommodate real women’s figures and will make anyone feel voluptuous and beautiful. Look for rich jewel tones or classic neutrals, which are popular choices and easily available in this style. The sensual glamour of this style of vintage nightgown continues to look smoldering even now, more than 50 years later. Save on this stunning satin lingerie when you choose a vintage nightgown, and enjoy all the style and sophistication without the price tag of a brand new style. 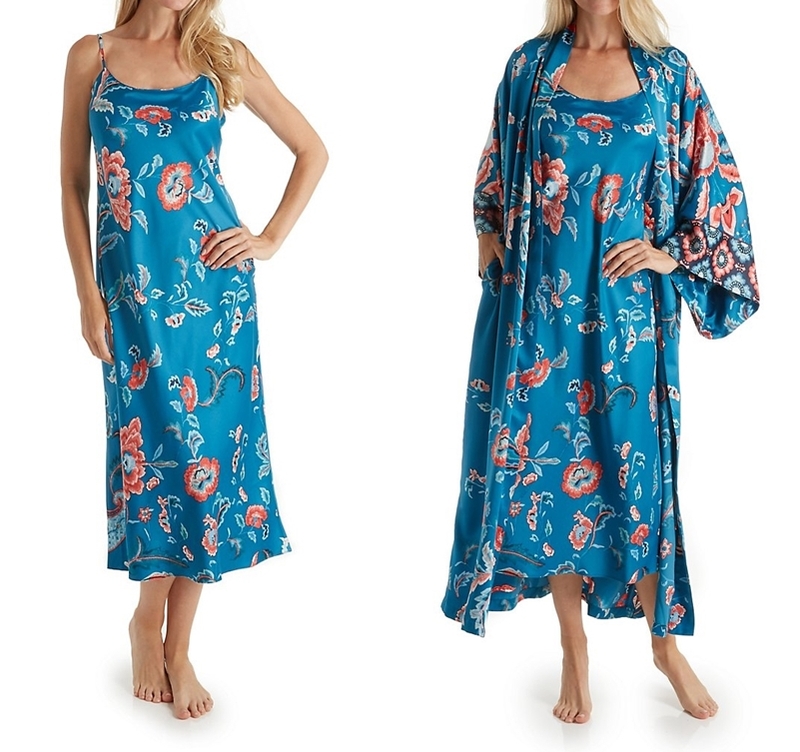 It can be tough to find a complete matching peignoir set because nightgowns and robes are often separated over the years, but you can create your own stunning look by mixing and matching vintage items. Look for elegant sheer nightgowns and silk robes with intricate lace details. They don’t need to be a perfect match, just keep your sleepwear choices in the same color family and look for common elements like ribbon details or lace ruffles. You’ll love the luxurious feel of slipping into a vintage nightgown set that’s been uniquely curated by you, rather than shelling out for a new set that squashes your savings and lacks the antique grace and glamour of vintage lingerie. Keep in mind that true vintage lingerie and clothing sizes may not be the same as the intimate apparel that's available today - but vintage inspired styles can be just as beautiful. ﻿Treat yourself to a classic chemise that’s also a break for your wallet. Sheer or cotton chemises with lots of lace detailing, and hem and neckline appliqués, are popular vintage styles that still look timeless today. A chemise or slip is a lingerie style that will never look dated, no matter when it was made, and you’ll always love the understated and sophisticated sexiness. Opt for chemises and slips in feminine pastels, smoldering shades of black, grey and navy, or brilliant jewel tones that complement your complexion. Searched high and low and can't find vintage chemises or slips? This may occasionally happen. Shopping for vintage and retro lingerie can sometimes be a hit or miss experience. No worries! There is a plethora of beautiful lingerie with vintage appeal that can be found in stores and online. you just have to narrow your focus and think vintage. Look for simple silhouettes and styles, designed with lots of attention to classic lace and sheer detailing. It will be hard to tell the difference!